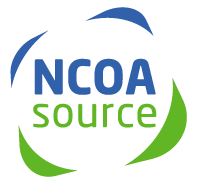 Prior to NCOA processing, download the USPS Processing Acknowledgment form. Once completed, signed and dated, fax back to 775-201-1811, attn: PAFs. Recommended reading for all users of NCOALink processing. The full NCOALink file is a consolidated file of move information that on average contains approximately 160 million permanent changes-of-address (COAs) filed with the United States Postal Service (USPS). These COAs are retained on the file for a four-year period from the move-effective date and the file is updated weekly. Before being added to the NCOALink file, the Old address supplied by the Postal customer must be ZIP + 4 coded. The New addresses must be ZIP + 4 coded and validated using the USPS proprietary database of actual delivery points. (NOTE: The delivery point database does not include NAMES or COA information.) Each delivery point confirmed New address is included on the NCOALink file. If unable to validate the New address, the NCOALink process will indicate that a move exists but will not provide the undeliverable New address. When possible, postal customers who move multiple times within the NCOALink time period are "linked" or "chained" to ensure that the latest address is furnished when an NCOALink match is attained. This is not always possible if subsequent COAs are not filed in exactly the same manner as a COA filed previously (e.g., name spelling differences or conflicting secondary information). The provision of change of address information is controlled by strict name and address matching logic. NCOALink processing will only provide new address information when queried with a specific algorithm of the name and input address from a mailers address list which matches the information on the NCOALink Product. Data contained in and information returned by NCOALink is determined by the name and move type (Business, Individual, or Family) indicated on a Postal customers Change of Address form. The data contained within the NCOALink Product is comprised of approximately 40% family moves, 54% individual moves, and 6% business moves. All matches made to the NCOALink file require a ZIP + 4 coded, parsed input address. The five types of processing modes are Standard (S); Business and Individual (C); Individual (I); Business (B); and Residential (R). The USPS has opted to remove soundex from the matching logic process. Consequently, the USPS has established a process called the "Rules Table". This process will produce matches that otherwise would not be possible, i.e. JOHNY and JOHNNY, without the risks associated with soundex. All nickname possibilities are derived from a standard USPS nickname list. In considering alternate presentations of an input name, only reasonable derivatives of the original input name are acceptable. If an input name and address do not match to NCOALink and alternative queries are attempted, any variations which obtain NCOALink matches will be provided to the NCOALink customer for analysis. When a match or a near match of an input name and address to NCOALink is identified, a standard NCOALink return code is provided indicating the type of match made or reason that a match could not be made. Although every record must be returned, the format of the records returned by a Service Provider to their clients is determined by a separate agreement between the processor and the customer. NCOALink processing has the potential to reduce returned mail, yet the USPS does not make any guarantees, express or implied, on the reduction of such mail. Thus any costs associated with returned mail are the Licensees and/or their customers sole responsibility. An NCOALink customer with questions about the specific results returned from an NCOALink process must first contact the processor for explanation and resolution. Prior to the processing of NCOALink data, every customer must have completed and returned to their NCOALink Licensee the NCOALink PROCESSING ACKNOWLEDGEMENT FORM provided to them by their Licensee or Agent. It is inappropriate to misrepresent any of the information on the form. Punitive action will be taken by the USPS if the customer, agent or licensee is found to have knowingly supplied false information. Depending on the severity of the offense, actions may include litigious or even criminal charges being brought against the offender. The following trademarks are owned by the United States Postal Service®, CASS, DPV®, LACSLink, NCOALink, United States Postal Service, USPS, ZIP + 4. We work hard to make our users happy. And pricing is an important part of this. In a nutshell, one of our guiding philosophies is maintaining a low pricing structure. For that reason, we're known in the industry as super affordable. We believe in treating our users as we liked to be treated, and this means selling our services at the lowest pricing possible, rather than the highest price possible. It really is that simple. So, no matter if you're a single-time user with a small list, or a daily user with large volume, you'll find the same great pricing available to everyone. And there are never - ever - extra charges.